Becky Cattie has always had a flair for the dramatic and loves all things entertainment—especially character-driven narratives. She was a casting producer for reality TV shows like NBC's America's Got Talent, ABC's Extreme Makeover, and E! 's The Simple Life in Los Angeles. She lives in Chicago. 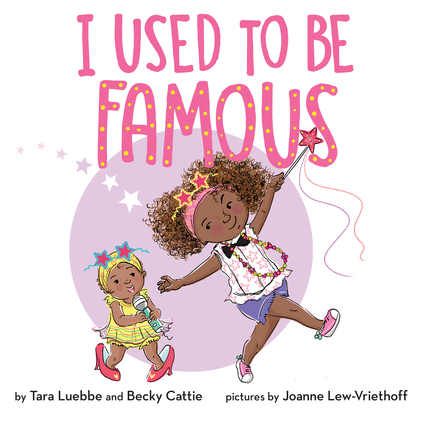 Tara Luebbe is a self-described "Picture Book Nerd." In her previous life, she owned a toy and book store in Atlanta, which was a catalyst for writing her own books. Joanne Lew-Vriethoff is the award-winning illustrator of such books as Another Day as Emily and The Dancing Pancake by Eileen Spinelli and Peace, Baby! by Linda Ashman.